Gretchen Horton joined us as our Parish Administrator in the fall of 2015. Gretchen knows the workings of churches and other non-profits well. At her home church in Vermont she served for 11 years as parish administrator, for six years on their Board of Trustees, and for five years as the elected Clerk of the Congregation. She was also in the field of early childhood education for thirty years, as administrative and program director of early childhood programs, and as resource and technical support specialist to other programs. Gretchen earned her liberal arts degree from Vermont College, with a focus on business and organizational development, and received a Certificate in Non-profit Leadership from Marlboro College Graduate School. She and her husband moved to Boston to live closer to their adult children, who are all in the Boston area. When not working, Gretchen spends as much time outdoors as she can. Her family still owns a home in Vermont, which they go to as often as possible. She enjoys hiking, gardening, canoeing, and camping. 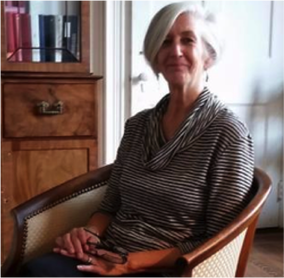 Her city joys include her daily walks at The Arnold Arboretum or Jamaica Pond and exploring all the the city has to offer, from museums, theater and music to new neighborhoods and restaurants.